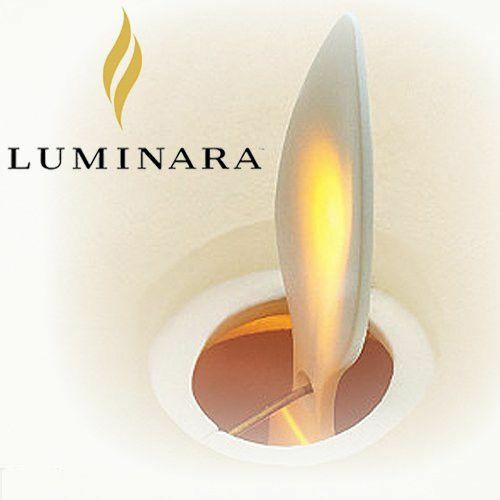 Luminara Candles are like no other battery operated candle.The flame moves creating dance like motion that is stunning and so realistic. 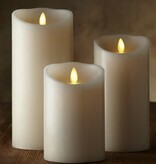 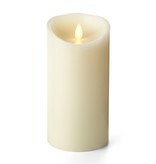 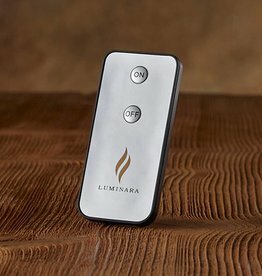 This vanilla scented Luminara flameless wax pillar style candle with timer measures 3.5 x 7 inches. 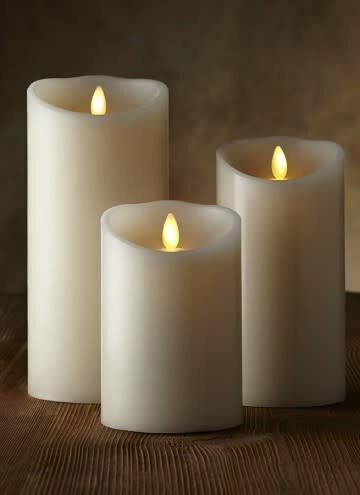 With a realistic flame flicker, this ivory flameless candle is perfect for mantels, centerpieces and more.